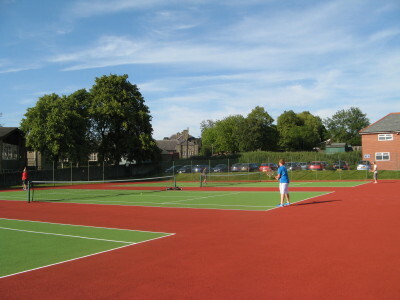 New Mills Tennis Club is a rapidly expanding sports club in the High Peak. 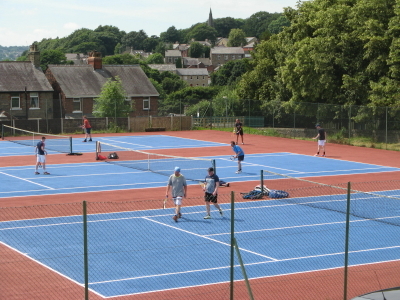 We have three all-weather tarmac courts, team tennis, social tennis and coaching for both juniors and adults. Juniors are integrated into all club activities and our club is very family-friendly. Membership fees are reasonable at £40 junior, £90 adult and £140 for a family. There are many events and tournaments held throughout the season and we are looking for new members this season, who may not have played tennis before or for many years. The club is very family friendly and integrates juniors into all club activities. We are situated at Church Road, New Mills and an integral part of New Mills Bowls, Cricket and Tennis Club. Feel inspired this summer to pick up a racket and come and check us out. See you on court.